CHENNAI: Tamil Nadu chief minister J Jayalalithaa+ , who is undergoing treatment at Apollo Hospitals in Chennai, is "interacting" and her health condition is "progressing gradually," said a medical bulletin issued by the hospital on Friday evening. 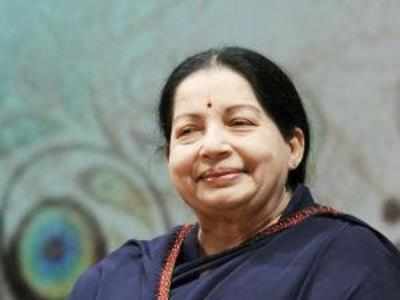 Jayalalithaa has been undergoing treatment+ at Apollo Hospitals since September 22. The bulletin, signed by the hospital's director medical services Dr N Sathyabhama, said the chief minister "continues to be under treatment and observation for all vital parameters, respiratory support and passive physiotherapy." The team of experts of the critical care group, senior cardiologists, senior respiratory physicians, senior consultants of the infectious diseases department, and senior endocrinologist and diabetologist of Apollo Hospitals were giving treatment and care to the chief minister+ , the release said. The chief minister's nutrition and essential nutrient intake were being attended to by senior consultants from the dietary team, the release added. Monalisa is a bhojpuri dancer, like Helen. she is quite dis-pleasant and unattractive. She has no figure. Period. and yess,.. they were all generalized and universal statements and especially, when I said,.. even though most beautiful women/ actress, have manly waists and if only 3” below and 5” upper portion from bellybutton is shown, no one can deduce whether the person is a men or a woman. but for SIs, it was universal statement and yess, if you are SI and rear mein mirchi lage,.. toh, damn I care,..
You are making a poor tactic here, to safeguard your own caste, tribe and community which all can see, except you,.. Pity ! Oh, now I see. You were making generalized and personalized statements... without being general or specific. Not everyone is smart like you, Prajaptaki pai. People like me are tubes. I agree with you, cent per cent. Generally all madrasans are yucky. Totally agree. All bhaiyas are delectable... again, agree with you. I do not know your specific example that is yucky... as I have never seen her. We seem to be on the same page on everything. I am beginning to like this new version of yours. It seems to have more clarity. Clarity is very important to life... especially a echan life. I have no words.. watch it to believe it. This movie scene is from 1970. Jayalalitha and MGR milking a cow that's not Tamil Nadu. Jayalalitha is there to stay-----she's going nowhere! If she ceases to exist as Amma, she'll exist as Mummy----- but she's not going to be out of 'power'! She had a movie with Dharam Paaji about that time. A near total shutdown like situation prevailed in the city with shops and other establishments downing shutters and office goers returning home early as Chief Minister J Jayalalithaa's health condition continued to remain critical today. The entire area in and around Apollo Hospitals, where she is being treated since September 22, resembled a fortress with traffic completely halted on the road leading to the hospital and a heavy police posse deployed. Some are saying Amma passed away, but others are saying she's getting better. God only knows the truth other than some from her party. American Consulate in Chennai has closed and canceled all the visa appointments. And US has warned American Nationals to be aware of security issues in Tamil Nadu. The American State Department on Monday morning advised US citizens that “even gatherings intended to be peaceful can turn confrontational and escalate into violence”. “You should avoid areas off demonstrations and exercise caution in the vicinity of any large gatherings, protests, or demonstrations,” it said. “The US Consulate general in Chennai will operate with reduced staffing on December 5, 2016. The Consulate will provide updates when routine services are restored,” it said. According to news, she is still on life support. Breaking news is She is no more. Not very old for 68 years. RIP.